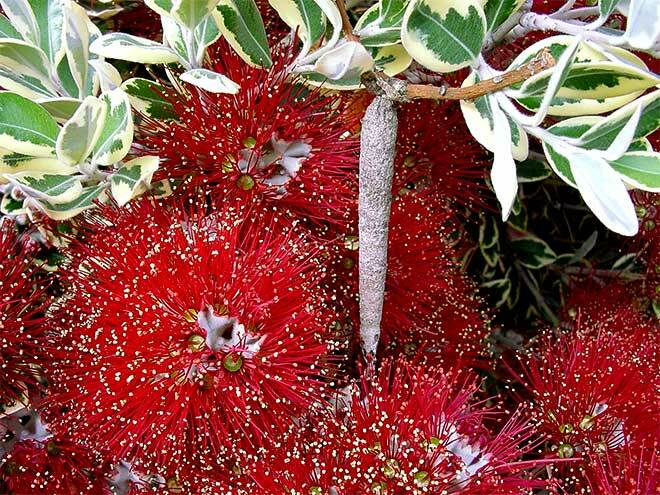 The tough, tapering cocoon of the case moth (Oeceticus omnivorous) is often found hanging from the branches of trees such as this pōhutukawa. According to Māori tradition, Raukatauri, the goddess of Māori flute music, changed herself into this shape. It may therefore have inspired the shape of the pūtōrino, a flute unique to the Māori, capable of producing a variety of voices.